Here at Born Again Sports Therapy we can use ultrasound therapy within the 75 minute sports massage treatment to assist with the treatment of any soft tissue injury. Ultrasound usually takes up only 5 – 10 minutes of a treatment. 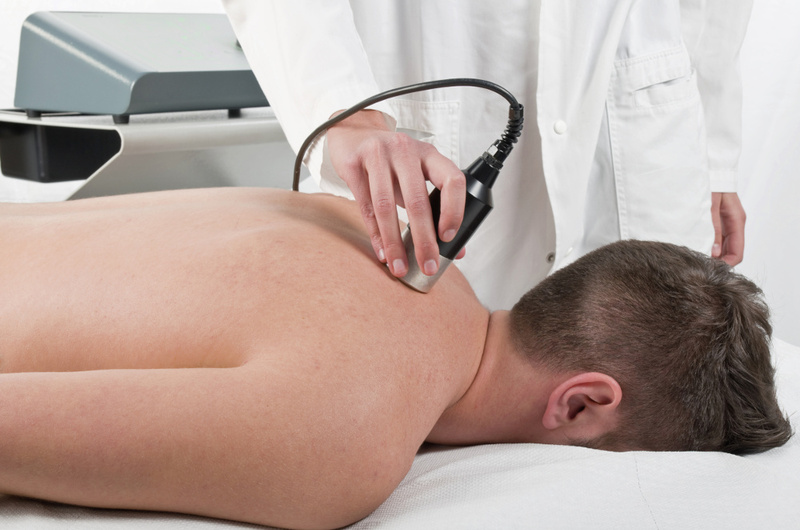 How is ultrasound therapy performed? We select a small surface area to work on for anywhere between 5 to 10 minutes. Gel is applied either to the transducer head or to your skin, which helps the sound waves evenly penetrate the skin. During your ultrasound therapy treatment, your therapist will continually move the transducer head over and around the selected area. Will I feel anything during ultrasound therapy? Some people feel a mild pulsing during ultrasound therapy, while others may feel slight warmth in the skin. Don’t be surprised, however, if you feel nothing at all apart from the cold gel on your skin. If the area being treated is especially sensitive to touch, you could possibly feel discomfort as the transducer head passes over. Ultrasound therapy, however, should not be painful.